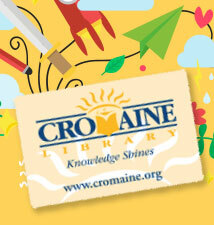 Thanks for using Cromaine Library! Please use this form to search our available resources. With 3,500+ interactive books, educational games, puzzles, and other learning activities, ABCmouse.com’s award-winning online curriculum is an invaluable resource for young learners (ages 2-6+). From Age of Learning, Inc.
From the National Agricultural Library. Contains citations about all aspects of agriculture and related fields. Includes: journal articles, monographs, proceedings, theses, patents, translations, audiovisual materials, computer software, and technical reports. Coverage: 1970 - current.From the National Agricultural Library. Contains citations about all aspects of agriculture and related fields. Includes: journal articles, monographs, proceedings, theses, patents, translations, audiovisual materials, computer software, and technical reports. Coverage: 1970 - current. Discover the stories of America's past brought to you by the Library of Congress. At Animal Fact Guide, you can learn about interesting and endangered animals from around the world. Discover what makes an animal unique and get wildlife conservation tips on our Animal Facts pages. Share your opinion about recent wildlife discoveries or check out cute baby animal photos on our Wildlife Blog. Download free coloring pages, word searches, and animal mazes on our Fun Stuff page. Arcademic Skill Builders are online educational video games that offer a powerful approach to learning basic math, language arts, vocabulary, and thinking skills. Boost student engagement & fact fluency with the free multiplayer educational games, math games, language arts games, and more! Explore parenting, pregnancy, lifestyle, baby names, food, and other related topics for parents and kids on Babble courtesy of Disney. Book Adventures sponsored by Sylvan Learning offers valuable resources to motivate your child to read like quizzes, games, and prizes. View and read past issues of Boys Life Magazine online. The Brighton Area Library is located at 100 Library Drive, Brighton, MI 48116. Learn more about the library by visiting the website. The Brighton Area Fire Department is located in the state of Michigan with a response district that includes 74 square miles and a population of 46,000 residents within the City of Brighton, Charter Township of Brighton and Genoa Township. Learn more about the Brighton Area Fire Department by visiting the website. Nonfiction content geared for K-12 students. Includes over 132,000 encyclopedia articles, 103,000 images, 7,500 multimedia elements, more than 27,000 eBooks, and novels and essays. Tools include translation for 50+ languages and read-aloud functionality. Includes Lexile ranges and alignment with Michigan Department of Education Academic Standards across a variety of subjects. The Caldecott Medal was named in honor of nineteenth-century English illustrator Randolph Caldecott. It is awarded annually by the Association for Library Service to Children, a division of the American Library Association, to the artist of the most distinguished American picture book for children. View this year and past years winners of this award by visting the website. View names and learn about Civil War soldiers that were residents of Hartland Township, Livingston County, Michigan. Over 170 men are listed. This is the blog for Hartland's Cromaine Library where you'll find notes from our programs, new material listings, and more! A comprehensive, categorized and cross-referenced list of links that point you to genealogical research sites online. The DAR, founded in 1890 and headquartered in Washington, D.C., is a non-profit, non-political volunteer women's service organization dedicated to promoting patriotism, preserving American history, and securing America's future through better education for children. This site also contains genealogy research databases and resources. See educator programs and services, what's new for educators, and the education spotlight. From the Information Institute of Syracuse, the people who created AskERIC, the Gateway to Educational Materials, and the Virtual Reference Desk, the Educator's Reference Desk brings you the resources you have come to depend on. 2,000+ lesson plans, 3,000+ links to online education information, and 200+ question archive responses. Search for eldercare services in your community and get other free resources and tools by visiting the website. Play fun math and reading games to learn. Search games by subject, or grade level. The Great Start Collaborative of Livingston County (Great Start Livingston) is a partnership of local stakeholders and parents working with the community to build a comprehensive early childhood system, aligned to address all factors that influence a child’s readiness for school and life. Visit the website to learn more and to view resources. View links to great websites for kids, covering a wide variety of topics, courtesy of the Association for Library Service to children. Support the Hartland Area Historical Society, learn about Hartland's history, see museum information, or apply to join by visiting the website. View information about the aquatic center, including lessons, hours, private rentals, and more. Part of the Hartland Consolidated Schools. See Hartland High School's athletic teams, sports updates, upcoming events, information for parents, and more. See information about the Hartland Lions Club, meetings, projects, and more by visiting the website. Visit hartlandliving.com for information about Hartland, Michigan. See upcoming events on the calendar, explore the business directory, see parks and recreation information, and view volunteer opportunities in the community. View the Hartland Optimist program information, meeting times, and apply to join. See upcoming shows and information about the Hartland Players community theater productions. View the Hartland Rotary meeting times. View the official website of Hartland Township for information on the board of trustees, elections and voting, taxes, the community, and more. Read health tips, stages of childhood information, family life, safety and prevention, and health news courtesy of the American Academy of Pediatrics. The HERO Teen Center is a teen friendly place in Hartland, MI for students to come do homework, study or just hang out. Membership is FREE. View information about the Highland Township Library in Highland, Michigan. See programs, services, events, catalogs, and more. Learn about Deerfield Township's history by visiting the website. Learn about Genoa Township's history by visiting the website. View a list of links and resources for homework help. Search and view links and resources for homework help for elementary, middle, and high school students based on subject. Howtoons are cartoons showing kids of all ages "How To" build things. Each illustrated episode is a stand-alone fun adventure accessible to all. Read non-commercial homeschool information. Search faqs, view the homeschooling handbook, and find support groups by visiting the website. Explore and read kids comics, web comics, manga, and more. Brought to you by USA.gov, Kids.gov is the official kids' portal for the U.S. government. We link kids, parents and teachers to information and services on the web from government agencies, schools, and educational organizations, all geared to the learning level and interest of kids. Kids.gov is organized into four audiences: Kids (Grades K-5), Teens (Grades 6-8), Teachers and Parents. Each audience tab is divided into educational subjects like Arts, Math, and History. The LIFE group is a home educators support group for homeschoolers in Livingston County, MI. Visit the website to learn more. Find your lexile reading level and search for books within your level. Search website resources for young readers and for the whole family to explore together courtesy of the Library of Congress. The Library of Congress launched By the People (crowd.loc.gov) in the autumn of 2018. The application invites you to transcribe, review, and tag digitized images of manuscripts and typed materials from the Library’s collections. Everyone is welcome to take part! You don't even need to create an account, but if you do you'll have access to additional features such as tagging, and reviewing other people's transcriptions. All transcriptions are made and reviewed by volunteers before they are returned to loc.gov, the Library's website. These transcriptions will improve search, readability, and access to handwritten and typed documents for those who are not fully sighted or cannot read the handwriting of the original documents. Search Livingston County history and genealogy information by visiting the website. The Livingston County Legal Self-Help Center is located in the Howell Carnegie District Library at 314 W. Grand River Avenue in Howell. During regular library hours, people who need help dealing with civil legal matters can come to the library for support. Get to know the Livingston County Sheriff by visiting the website. Livingston County's intermediate school district. See special education resources plus, links to schools, board of education, and human resources. Search math topics and read forums to find more information on solving problems. MeLCat, part of the Michigan Electronic Library, offers statwewide interlibrary lending services, including major state universities, and is available at Cromaine. We ask that you only use MeLCat after searching the TLN library catalog. TLN offers over 1.2 million titles with five million items from over 50 libraries in southeastern Michigan. The Manuals are one of the world’s most widely used medical information resources. Includes pill identification, information about medical topics, and a wide variety of other health and medicine resources for both the consumer and medical professional. The Merck Veterinary Manual (MVM) has provided veterinarians and other animal health professionals with concise and authoritative information on diseases and management of food-producing, companion, laboratory, and exotic animals. M.A.P. is a program of The Library Network, a group of libraries in southeastern Michigan. M.A.P., also known as Michigan Activity Pass, provides free and discounted admissions as well as discounts in gift shops at museums, attractions, parks, and all kinds of recreation and entertainment opportunities. Michigan Autism Partnership provides scholarships to families in need of assistance in treating children with Autism Spectrum Disorder. The Michigan Business Resource Center can help you start, operate and expand your business in Michigan. Michigan Department of Education nonpublic and homeschool information. Content for kids from Michigan government on topics like environment, food, history, money, and more. Michigan compiled laws from the Legislative Service Bureau. Business related events and workshops for those looking to start or grow their organizations. Contact information for U.S. members of senate based on state. Apply for unemployment online or check the status of your claim. Space related content including games, photos, downloads and more. The NHERI collects research about homeschooling and provides resources for home educators. List of Newbery Award winners for distinguished work in children's literature from 1922-present. Back issues of New York Times book reviews. 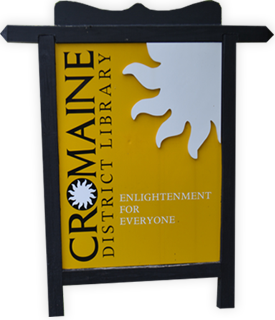 Cromaine Library's My Niche Academy contains a variety of helpful video tutorials on how to use the library's e-resources. Comprehensive online art gallery of over 15,000 paintings. Online reading for children in a variety of topics with colorful illustrations and interactive pages. Provides different views about issues that help students develop critical thinking skills. This resource brings balance and perspective to contemporary issues using arguments from experts. Free classic literature available for ebook download. Business and residential information database for job seekers and business professionals. Information, articles, and guidelines regarding internet safety and civility. Educational TV programming, world language resources, lessons and learning material. Children can program and animate their own interactive stories and games. Book reviews, movie reviews, and articles on science fiction, fantasy, and horror. Literacy-based games, book trailers, and educational resources for young students. A monthly computing and technology magazine touching on a variety of technology topics. Resources and dates regarding the State Bar Exam in Michigan for members, public, and future lawyers. Story Starters provides children with interactive writing prompts in a fun, colorful, template. Resources on federal student aid, FAFSA, student loans, and more. View educational kids websites, games, printables, and other resources. Teen Ink is a publication made up of work written by teen authors from around the world. The official website for the olympic games shares news about athletes, sports, and more. A Tumble Book library of ebooks for preschool through youth early readers. Tyrone Township Historical Society in Livingston County, MI provides meeting dates, tax information, and more. With over 500 courses, most of which are accredited for Continuing Education Units (CEU's) by the International Association for Continuing Education Training (IACET), Universal Class is a one-stop resource for improving your knowledge and skill set in various professional and personal subject areas. This is a list of the equipment for sale. Launched by the League of Women Voters Education Fund (LWVEF) in October of 2006, VOTE411.org is a "one-stop-shop" for election related information. It provides nonpartisan information to the public with both general and state-specific information on the multiple aspects of the election process. The wishlist for our February 2019 Cromaine Cares event is available online. The wishlist for our January 2019 Cromaine Cares event is available online. See kid-friendly games, projects, printables and more.